City Recital Hall's CEO Elaine Chia today published an open letter condemning the attacks, which included comments like "Sodomites are a plague". Sydney concert venue City Recital Hall has been deluged by homophobic comments over its hosting a Mardi Gras event which presents a queer interpretation of a traditional Latin mass. 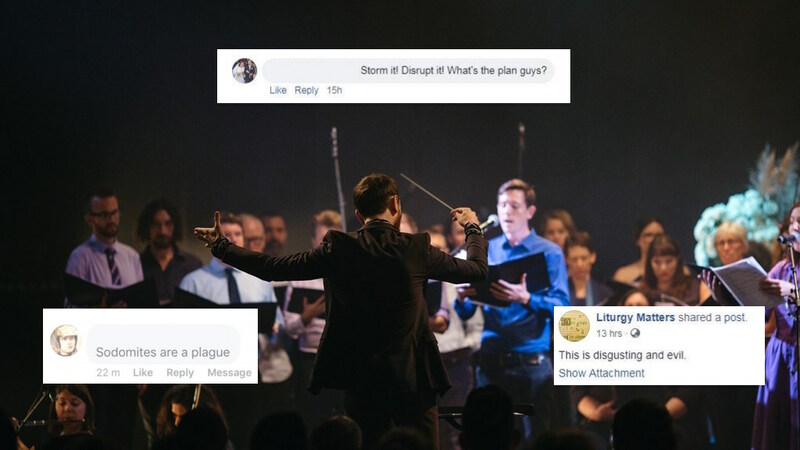 In comments obtained by Star Observer, users on social media labelled the event – titled Requiem Mass: A Queer Divine Rite – “evil” and “satanic”. “The devil cannot help but to invert truth, beauty and goodness,” one said. “Sodomites are a plague,” said another commenter. “I expected there would be some who were not in favour of this concert, and of course everyone is entitled to their own opinion, but freedom of speech should never be discriminatory or abusive. “The spiteful comments have made it all the more clear that we need to present works like Requiem Mass on our stage,” Chia wrote. “We need to move past hatred, embrace dialogue and do our part to build a society where all people can express themselves without discrimination. For more information on Requiem Mass: A Queer Divine Right, head to City Recital Hall’s website.